The MANUALLY_INITIATED_POWER_BUTTON_HOLD output has the error code value 0x000001c8. The error is checked if the power switch is pressed for 7 seconds but released 10 seconds before the UEFI is reset. The long power button bug control is similar to the 0xE2 MANUALLY_INITIATED_CRASH bug control, which is triggered by a combination of keys. Since error checking takes place at an undefined time, there is no explicit problem indicated by the error checking parameters. 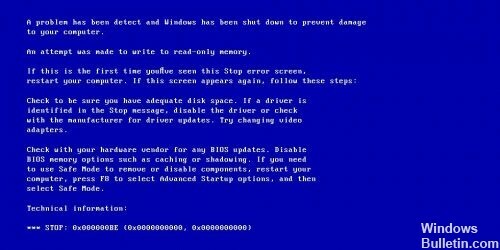 If you receive this error message 0x000000BE, it usually means that one of the Windows 10 device drivers is trying to write data to a read-only sector of your computer’s internal memory. This problem occurs because a signed value is used as the debug log list index in the Storport.sys driver. If the value exceeds the maximum positive value, a negative index is used to query the debug log entries. This behavior results in invalid memory access. Therefore, the stop code is triggered. 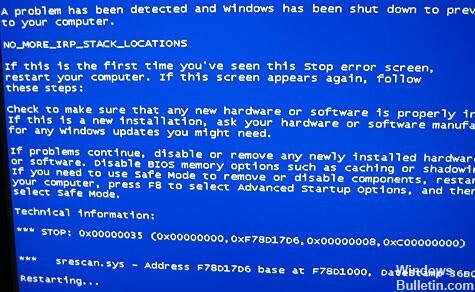 On this page, we will discuss information about the cause and possible solutions of the blue screen of death related to startup (BSOD) with the error “UNMOUNTABLE_BOOT_VOLUME” and the stop code STOP: 0x000000ED. 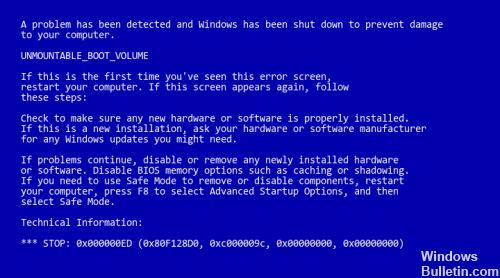 This error is sometimes written incorrectly as UNMOUNTABLE_BOOT_DRIVE, but it is functionally the same. 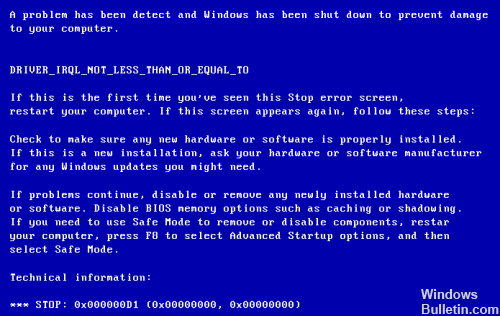 If you are monitored by ATTEMPTED_SWITCH_FROM_DPC blue screen of death error, you are not alone. Many Windows 10 users also report this problem. As boring as it may sound, it can be fixed. 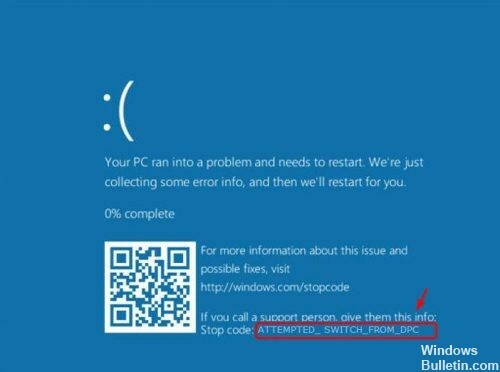 The ATTEMPTED_SWITCH_FROM_DPC error has the code 0x000000B8, which indicates that an illegal operation has been attempted by a delayed procedure call (DPC routine).